to better reconcile their spends as a business with eVanik OWS in a much faster and simpler way. Many businesses that attempt to make use of eCommerce reporting use manual methods of utilizing the data their seller panels makes available. For example, a seller might download a spreadsheet of all transaction data from the day before, manually formulate reports and find results over days together by the time some pieces on that data on the seller panel would have changed. In addition to being insecure, the seller would be wasting valuable time on a daily basis. Furthermore, this process would neglect the opportunities available by incorporating the data into automated systems for usage throughout the enterprise. Businesses seeking to get the most out of shipping fee reconciliation reporting, therefore, must automate the utilization of this data to get the best results. 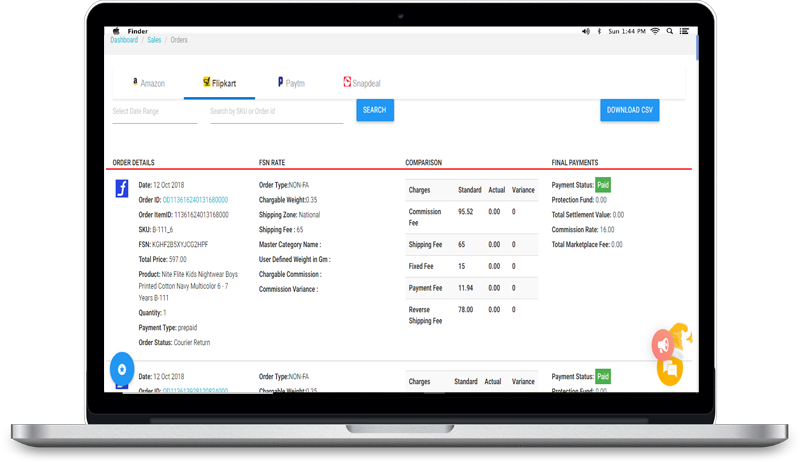 eVanik OWS’ shipping fee reconciliation is a tried and tested tool that includes sophisticated range of algorithms designed to simplify the reconciliation of shipping fee from transaction and reconciliation reporting. Since the tool is designed with dynamic shipping policies of marketplaces in mind, sellers can enjoy more accessible data utilization across their enterprise. Information available from the OWS platform can be used to improve many aspects of business, including sales processes, marketing campaigns, fulfillment processes, and more. eVanik OWS even has a team of experienced developers specialized in developing custom systems to meet the specific data needs of sellers. Get in touch with eVanik today to learn more about how eCommerce shipping fee transaction data can be leveraged to improve business processes.